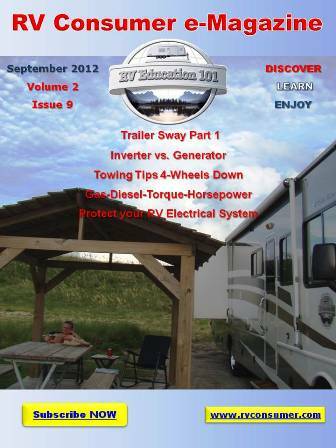 I think most RVers understand the importance of maintaining proper tire inflation pressure. The most common problem is if you wait until you’re on the road to check tire pressure the tires are too hot for proper evaluation. Checking the inflation pressure when you stop to refuel doesn’t make sense either; you will get higher pressure readings and if you let air out the tires they are underinflated when they are cold. Another problem is when you are at the campground and you want to check the tire pressure there is no available air support to do it. So what’s the answer? 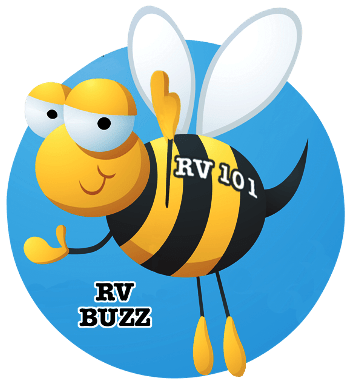 You might want to consider purchasing a portable air compressor that you can take along on RV trips. The problem is air compressors can be confusing to understand, especially if you are trying to find one that is capable of increasing the inflation pressure in large motorhome tires. Let’s start with some air compressor basics. Air compressors have 3 main ratings associated with them, Horsepower (HP), Cubic Feet per Minute (CFM) and Pounds per Square Inch (PSI). Understanding these 3 functions of an air compressor can help us select the right portable air compressor for the job. We’ll start with horsepower. Unfortunately when it comes to air compressors manufacturers don’t do a great job of explaining it to the consumer, almost to the point of false advertising. Manufacturers tend to over-inflate HP ratings, assuming if the consumer see’s 6 HP advertised, rather than 2 HP, they are more apt to purchase the higher HP rated compressor. This is true in many situations. If you’re a muscle car enthusiast you would definitely consider the HP rating of a vehicle before buying it, right? But if we take a closer look at horsepower, as it relates to air compressors we can learn how it really works. Horsepower was invented by an engineer named James Watt. The same watt you think about when buying a light bulb. Watt is used as a measure of electrical and mechanical power. When we apply watts to HP, one HP is equivalent to 746 watts. So if you buy an air compressor rated at 6 HP and it operates on 120 volts it is, in a sense a false rating. Here is why. If you plug the compressor into a standard 15 amp, 120 volt circuit it would only produce about 2HP (120 volts X 15 amps = 1800 watts). This is slightly over a 2 horse power rating. The higher 6 HP rating advertised by the compressor manufacturer is commonly referred to as peak HP, similar to a vehicles engine HP rating. The peak HP rating is only accurate at a higher RPM range (usually 5000 to 6,000 RPM’s), but rarely do you drive your vehicle at 5,500 RPM’s. As for the air compressor, it would require more amps, from a 240 volt circuit, to produce this peak HP rating. Cubic Feet per Minute (CFM) is an important rating when it comes to portable air compressors too. CFM is basically a measurement of the rate a compressor can deliver a volume of air. CFM varies with atmospheric pressure. It also varies with the temperature and humidity of the air. Air compressor manufacturers calculate Standard Cubic Feet per Minute (SCFM) as CFM at sea level with 68 degrees F, at 36% relative humidity. Note: CFM ratings can be skewed by the manufacturer too. Let me explain. Let’s talk about our third rating, Pounds per Square Inch (PSI) to help put it in perspective. For air compressors the CFM ratings are given at a specific PSI. In other words an air compressor rated at 3 CFM @ 90 PSI should be capable of delivering the 3 CFM at 90 PSI. The problem is air compressor manufacturers can advertise a higher CFM at a specific pressure because the air compressor is capable of delivering the rated CFM going from 0 to 90 PSI. For example, let’s say you have tires that run 85 PSI. You purchase a portable compressor rated at 3 CFM @ 90 PSI thinking it will be fine. The problem is the compressor might be able to supply the 3 CFM of air flow at 45 PSI, but as the pressure increases the volume of air flow decreases. It can supply 3 CFM of air flow at say 0 to 45 PSI but at 90 PSI the air flow decreases, so it labors trying to add a few more pounds of air to the tire. So the question is what is the true CFM delivered at 90 PSI? If your air tools or RV tires require a specific CFM rating at 90 PSI you more than likely won’t get it based on the advertised CFM @ a specific pressure. What this translates to is that it will take a long time to inflate some larger RV tires, if the compressor is in fact capable of inflating the tires at all. When shopping for a portable air compressor the key is to try and find one that can deliver about 4 true CFM based on the true HP rating at 90 to 100 PSI. If you have the storage room available, and you will have access to electricity, you can find some reliable pancake style portable compressors that will do a good job inflating tires and performing other small household jobs.